Can’t Apple simply let go and move on? We had reported on the lost iPhone 4 that created internet sensation and free marketing for Apple. Today misdemeanor charges have been filed against the two individuals responsible for shopping around a lost iPhone 4 prototype to various websites before the iPhone 4 was officially unveiled, though no one from Gizmodo—the site that eventually bought the prototype—will be charged. The San Mateo County, California District Attorney’s Office announced its decision on who to charge today, noting in its brief press release that 22-year-old Brian Hogan—the one who allegedly found the device in a Silicon Valley bar—and his 28-year-old friend Sage Wallower had both been charged with misappropriation of lost property”.After consideration of the evidence, it was determined that no charges would be filed against employees of Gizmodo,” the DA wrote in its statement. Gizmodo eventually gave the iPhone prototype back to Apple, but only after an e-mail back-and-forth with Steve Jobs and a letter from Apple legal demanding that it be returned. That’s about when the controversy erupted: Gizmodo editor Jason Chen’s apartment was raided and debate exploded online over who, if anyone, should be charged for passing around Apple’s leaked property. Not again! 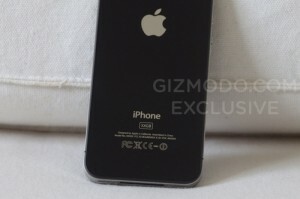 Another iPhone 4 leaked? Previous Now a Google Hotel Finder Might just know where you are! Next UK to Block and Ban Social Media sites to Control Riots!